View of the campus from the student towers. The high building on the left is the Main Building; the construction site right next to that will become the Research Building. At the moment, the campus is used by the Yantai dependance of the Chinese Agricultural University (CAU). 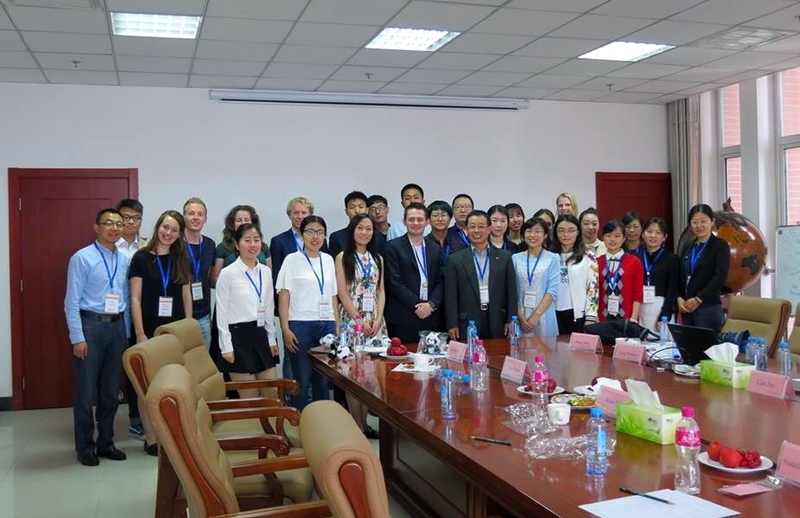 Perhaps you have heard about it at least once: the University of Groningen (UG) has advanced plans to start up a branch campus in the Chinese city of Yantai. The Faculty of Spatial Sciences (FSS) will be one of the first faculties to offer programmes at this branch campus that will be named University of Groningen Yantai (UGY). But why does the university actually want to go to Yantai? What does the campus look like? What kind of student culture is out there? And, what kind of city is Yantai? With these questions in mind I kindly accepted the invitation to join a working trip to the UGY campus. 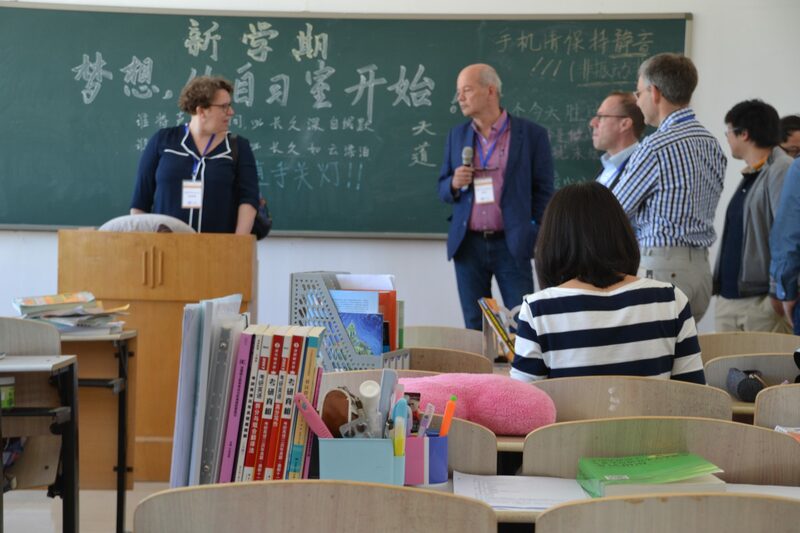 Together with 47 other staff members and students with different backgrounds (amongst whom are 7 staff members and 1 other student from FSS) I visited Yantai from May 24th until May 27th. 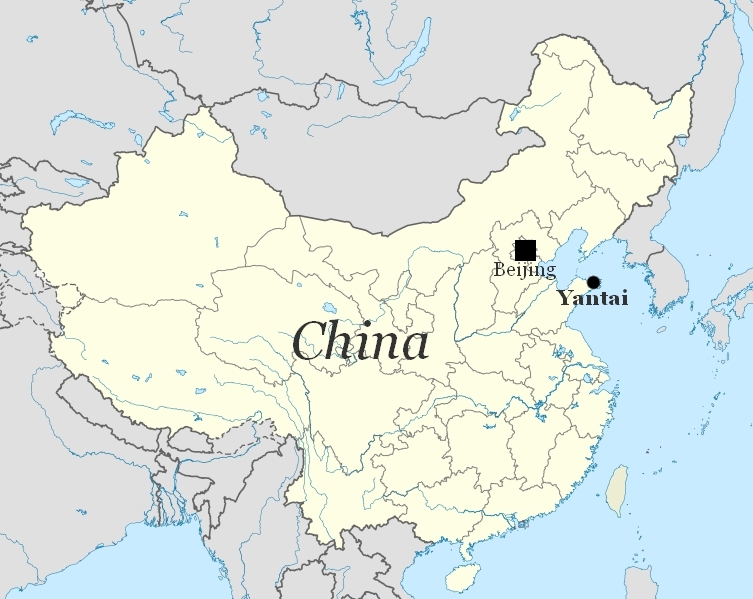 Location of Yantai in China. Source: Wikimedia Commons, edited by Dion Glastra. Within the coming years, all universities in the Netherlands will face lower inflow rates due to a declining number of young Dutch people. Adding to that, during the last years a lot of funding for higher education institutions has been cut by the Dutch government. Overall, this deprives the position of universities in the Netherlands; there are fewer possibilities for doing research and less staff can be employed. In turn, this may have an impact on the international reputation of the UG; the leading ranking lists are based upon the number of publications that originate from a university, and less staff means fewer publications. Therefore, the UG decided to focus on internationalization. Internationalization can increase both the level of incoming students and the inflow of money to the university. The UG aims at internationalization in Groningen itself (f.e., offering all FSS programmes in English rather than Dutch), but also outside Groningen by the means of a branch campus. A branch campus is a secondary campus of the university in another country where a selection of the programmes offered at the home university (in the case the UG) will be offered in more or less the same way. China is well-known for being a growing market for higher education; very high numbers of people are willing to be educated at universities in general and at western-style universities in particular. The concept of a branch campus does take away the need of going abroad to get such an experience, which is very expensive for the Chinese. Another, secondary, reason for the desire to develop UGY is that it offers exciting research and exchange opportunities for Dutch-based scientists and students alike. Therefore, the Chinese authorities implemented the concept of joint international universities. There are 10 of these joint universities, of which 9 are operational. The 10th will be UGY, if all plans will continue as proposed by the UG. 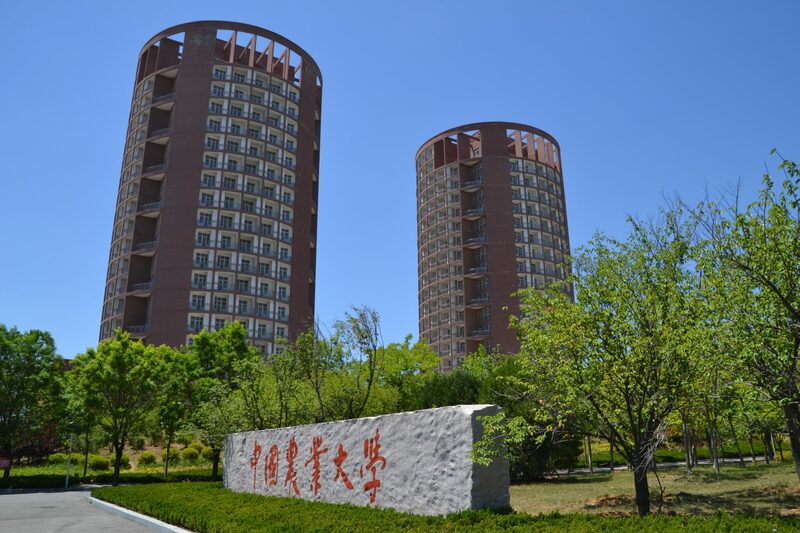 Towers used for student housing; all floors have rooms that will be used by 4 (bachelor), 2 (master) or 1 (PhD) students. View towards the rapidly developing Laishan District during sunset. 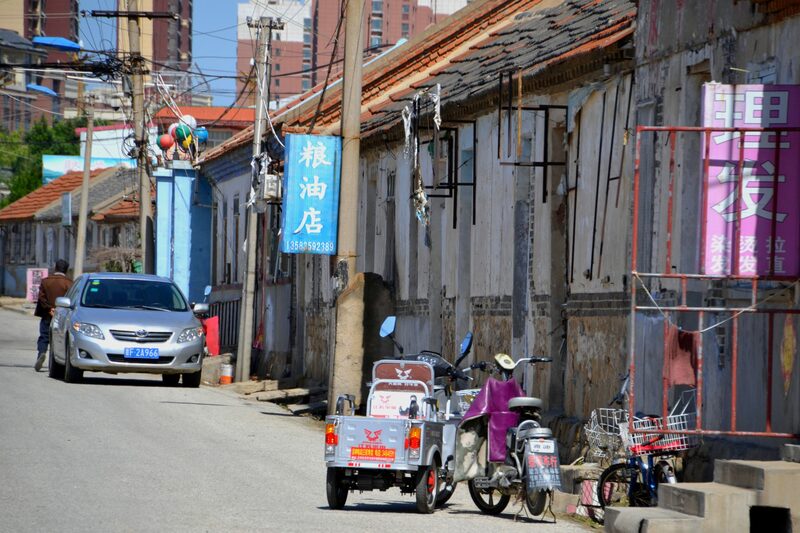 Street scene in a hutong-like neighborhood right next to the campus. right next to the campus a traditional hutong area can still be found, although it is probably a matter of time before this neighborhood will be sacrificed to the development of the New China. 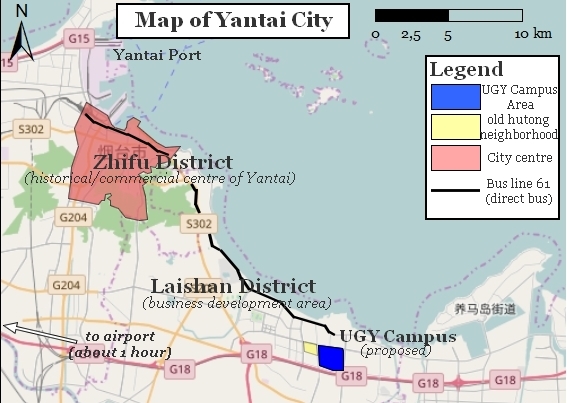 A map of Yantai City including most of the locations mentioned in this article. Source: OpenStreetMap.org; edited by Dion Glastra. As you might expect, the Chinese culture is very much different from the Dutch culture. This is translated in student life as well. Chinese students tend to be much more dedicated to their studies than Dutch students. This is also embedded in the way Chinese students get enrolled in their programmes; the scores y0u acquire for the last series of tests at high school determine to which universities and programmes you can apply. Group picture with most of the student representatives. The writer of this article is the second left from the back row. Snap of a tour through the current CAU campus. Dr. Aleid Brouwer is talking with other members of the delegation and Chinese CAU staff. Doing extracurricular activities in the sense we are doing in the Netherlands is almost unheard of. In China, students tend to congregate in the lecture rooms to study after their actual lectures have ended. As they sleep with 4 to 6 students in one room together, their rooms are not really the place where they spend their time other than sleeping. Apart from studying, Chinese students like to spend their weekends with doing sports, visiting other cities and regions and spending time with friends. This doesn’t mean, however, that there is no organized student life at all at the CAU Yantai campus; students can become a member of specific clubs (groups of students with a shared interest; f.e. environmental protection or playing mahjong) or a year representatives of their class. Yantai is located on the Yellow Sea coast, in the province of Shandong. For Chinese standards, it is a medium-sized city with about 7 million people living in the municipality. It was formerly known as Zhifu and has also been inhabited by Western powers who built consulates and traded with the Chinese interior. Today, it is a booming economic centre where more than 100 international companies have established their offices. 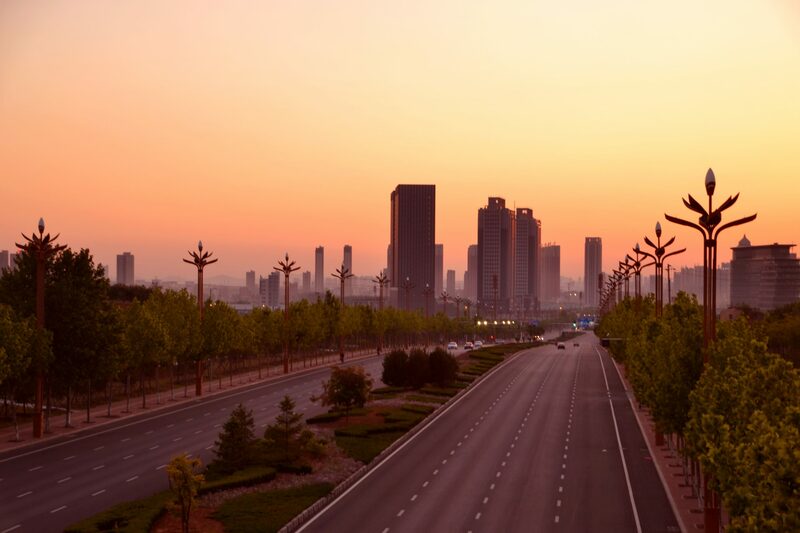 Yantai is a very spread-out city; the UGY campus is situated about 20 kilometers (some 50 minutes by direct bus) from the commercial and historic city centre. In the city centre you may find several interesting locations, such as temples, markets, shopping malls, a long boulevard along the coast and a neighborhood with little restaurants and bars. 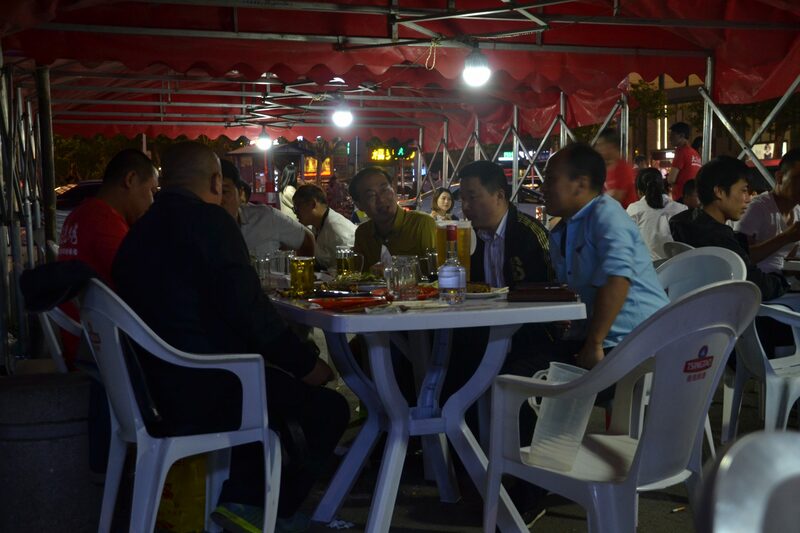 During the evenings, the squares in the city are filled with square-dancing people and food stalls which sell the most delicious Chinese foods. 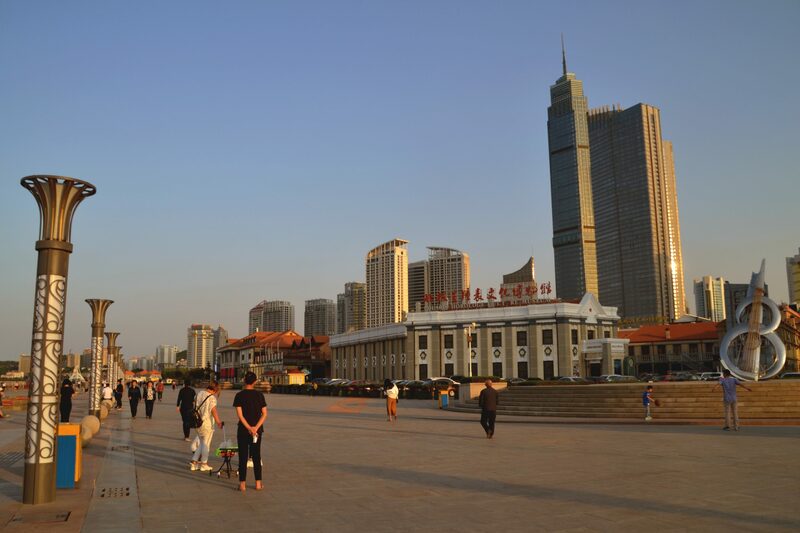 Boulevard area in Zhifu District, central Yantai. Busy market area in Zhifu District. 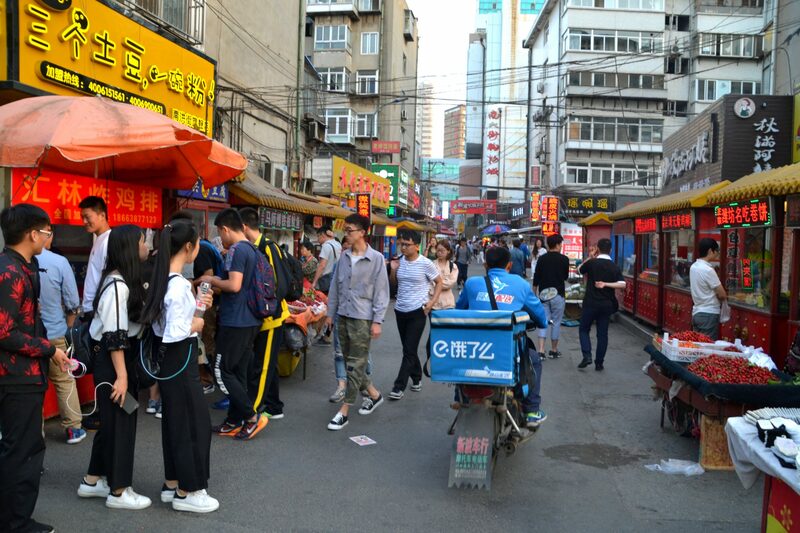 Street food market in the commercial centre of Yantai. Square dance performance in Yuhuangding Park, central Yantai. Although the UGY plans are in an advanced stage, they have not been officially approved yet. First, the Faculty Councils of the faculties who will offer the first programmes need to agree with the decision of the Faculty Boards to collaborate with the Executive Board of the University to express the intention of establishing the UGY campus to the Dutch Ministry of Education. Our own Faculty Council will vote about this on the 18th of July. After that, the University Council needs to approve with the final application which will be sent to the Minister of Education. The University Council will probably vote about this at the end of the summer. When the Dutch ministry approves, the Chinese government will also need to approve with the application. Only after that, UGY can be established as a legal entity which offers study programmes to students from both China and abroad. According to the current plans, these stages need to be completed by September 2018, when the premaster year for Chinese students will start. The EIP Master programme itself will then start in September 2019, followed by the Human Geography and Urban & Regional Planning Bachelor programme in September 2020. All photos used in this article are own work, unless stated otherwise.